1. When will your CCSA blackjack cheating device be available for purchase? Approximately March 2008. It is in the final stages of development. 2. Does it really give me the highest edge literally possible? Yes. It does so by tracking exact cards, and performing a detailed shuffle analysis. It tells you exactly what to do. 3. Is this something a beginner can use? The computer can be used in several different ways. For example, it can track exact cards for the highest edge possible, or track only aces and 10-value cards. If you want to track exact cards, then the computer is more difficult to use. Beginners can easily use the most basic settings the same day they receive the device. But using all features for the highest edge possible takes more practice. 4. If I used all features and tracked exact cards for the maximum edge possible (card counting and shuffle analysis combined), how difficult is it to use? Use of the computer’s full features is extremely easy in controlled conditions in the comfort of home, and that is because you don’t need to hide application. But in the real casino conditions, application needs to be covert. To be covert, the player needs to be comfortable with the input switches and how they are used. This is the part that requires practice. Otherwise the device is very easy to use. 5. How does the computer know the exact cards? The technology by which cards are inputted into the computer is extremely unique, and for security reasons is not discussed in detail here. That is because it makes no sense to tell casinos what to look for. The technology makes inputting of exact cards very quick and easy, while keeping movements of the player to a bare minimum. After all, if you can’t input the cards quickly and covertly, the device is not practical in real casino conditions. 6. Won’t entering of exact cards be difficult with a lot of different buttons? It takes practice for it to become second nature to a player, but it is by no means difficult. There are comparatively very few buttons and movements required by the player to input exact cards. If a player is not comfortable with specific data input hardware, there is a large range of other data input hardware to choose from. The software and processors are extremely flexible and can be tailored to suit the player’s preferences. 7. How quickly can exact cards be inputted? Realistically one card can be inputted every 0.8 seconds on an ongoing basis. 8. Why is your blackjack computer so expensive? You get what you pay for. Most card counting computers either count a limited range of cards, and do not at all include any kind of shuffle analysis to increase the player edge. The CCSA computer tracks exact cards with very efficient and practical data input methods. This ensures the edge from card counting is literally as high as it can be. Furthermore, the shuffle machine is analysed and any patterns that exceed the standard deviation are incorporated into instructions given to the player. 9. Does it use wireless earpeices? I heard induction loops for wireless earpieces are easily detected. It can, although it incorporates features that dramatically reduce the possibility of the induction loop being detected. For maximum covertness, the player can use the devices vibrational pulses to receive instructions. 10. What if I find the hardware too difficult or impractical to use? 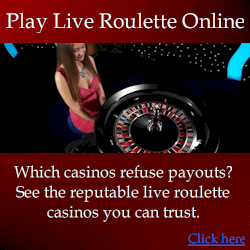 It has been designed to be as easy and practical to apply in real casino conditions, so this should never be an issue. However, IF it is, our team of full time developers that can customise both the software and hardware to suit yourself. If updates are requested for the software, they are done free of charge – you only need to cover the cost of shipping of the hardware for the updates. Although hardware modifications may incur additional cost, although it is done at cost price and the expense is minimal. It is unlikely that you will need any modifications, but at least this reassures you that you are paying for something that is not only effective, but practical to use in real casino conditions. 11. Is the computer effective against shuffle machines that constantly shuffle with a random number generator card shuffling reel? This depends on the model of the shuffle machine. Every shuffle machine tested showed at least some degree of predictability. Even some of the most advanced shuffle machines were not completely random. While every shuffle machine has a varying degree of predictability, not always is the predictability sufficient to overcome the house edge. 12. How do I know if my casino’s shuffle machine can be beaten? You run an analysis, and over a few different shoes, the computer will provide an analysis of how predictable the shuffles are. While you may not be able to beat all shuffle machines, there are more than enough shuffle machines throughout the world that are easily beatable. The idea is not to play at the casinos that are hardest to beat, but to travel to the casinos that are easiest to beat. 13. Is it legal to cheat at blackjack with your device? That depends on where you use it. More often than not, it is completely legal because you are not forcing the outcome of the game – you are only predicting it. As a purchaser of my devices I can guide you on jurisdictions where application is legal, although you are still advised to do your own legal research. It is not permitted to use the technology where it is illegal.